"Oscar" is heading to the Twin Cities Film Festival this Fall! 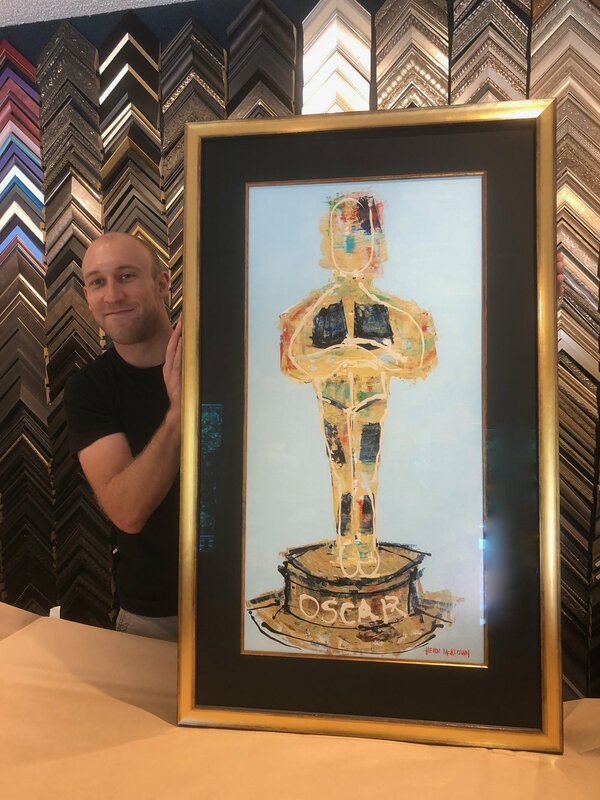 Thank you to Michael at the Carter Ave. Frame shop for giving "Oscar" such a nice life in his new frame! He's heading to the Twin Cities Film Festival this fall! I painted this when the Oscar was given out to the wrong group hence my Oscar's head is looking around to find the correct winner! (This is a giclee print of it and a much smaller size) Cheers!